Diabetic neuropathy includes disorders of the nerve root, nerve trunk, and nerve endings. When these disorders occur as a result of diabetes, the cause is felt to be secondary to either altered glucose metabolism or a lack of blood flow to the nerve itself. Pain, weakness, numbness, and functional impairment can result. At Piedmont Physical Medicine & Rehabilitation, we offer innovative diabetic neuropathy treatments for patients in Greenville, Spartanburg, Anderson and surrounding areas. It is common knowledge that the diabetic suffers from altered glucose metabolism as a result of either reduced quantities or reduced effectiveness of circulating insulin. While the majority of medical management centers on controlling the blood sugar, even when good control is achieved, disease or injury to the nerves can occur. Nerves are like electrical wires. Through their ability to conduct electricity they allow messages to travel between the brain and the muscles or the skin. The nerves that go to the muscles are responsible for delivering messages from the brain to tell us how to move our bodies in space. The nerves that arise from the skin are responsible for delivering messages about pain, temperature, and other forms of sensation to the brain. Nerves can be thought of as having the same basic parts as a tree. The nerve fibers that arise from the spine are called the Nerve Roots. 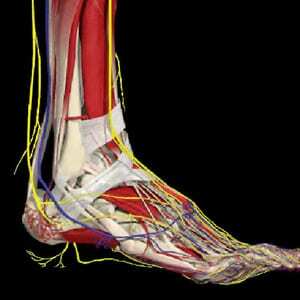 When the nerve roots merge into larger bundles they are called the Nerve Trunks. When the trunks begin to divide back down into smaller bundles they are called Nerve Branches. Finally, the branches get smaller and narrower in size until they reach the Nerve Endings. 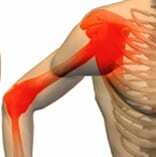 The nerve endings that go to the muscles are Motor Nerves. Those that go to the skin are called Sensory Nerves. Sometimes these nerves get sick. While this can happen for many reasons, in diabetes they usually get sick from an increase of sugar circulating in the blood, or from too little blood reaching the nerve itself. In either case, the nerve does not get enough oxygen to survive. If the nerve becomes injured at the nerve root it is called Radiculopathy. At the branch level, it is called Neuronopathy. In some cases, more than one part of the nerve gets injured. 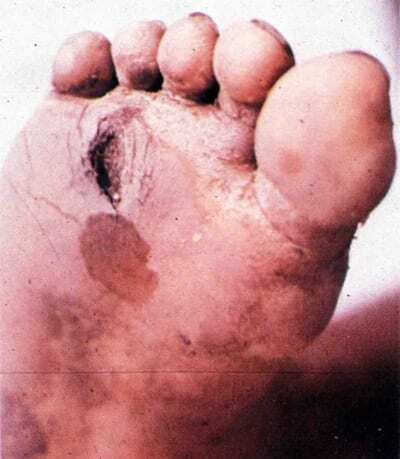 If the roots and the endings are injured for example, it is called a Diabetic Polyradiculopolyperipheral Neuropathy! If you have diabetes and any part of your nerve gets sick, all that you know is that you don’t like it. Pain, weakness, numbness, or functional impairment can result. The pains are usually sharp or burning in character. They may affect the back, neck, arms or legs. The numbness is usually first in the feet, then in the hands. This can be dangerous, as skin sores that are open (called ulcers) can develop, and if not taken care of they can lead to the loss of the involved limb. 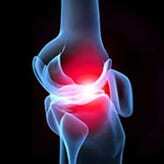 Weakness usually occurs in the legs. This can be in the thigh or in the foot. If it involves the foot, walking can be difficult. If it involves the thigh, climbing stairs and hills can be hard. Sometimes it will affect the hand and grip will become weak. When there is a loss of ability to do things, it is called Functional Impairment. Fortunately, there are specialized studies called Electrodiagnostic Tests that can measure for the presence of nerve damage. Once identified, there are many treatments that can be done to lessen pain, weakness, numbness, or functional impairment. What’s even better is that as a rule these do not require any surgery, and they are generally effective. Like anything else, an ounce of prevention is worth a pound of cure. The earlier symptoms are treated, the better the chances for a favorable outcome. While controlling blood sugar is a must, early and effective treatment of the complications of diabetes is essential to enhance and maintain quality of life.